My little preschooler LOVES watching Team Umizoomi…it’s his favorite show hands down. 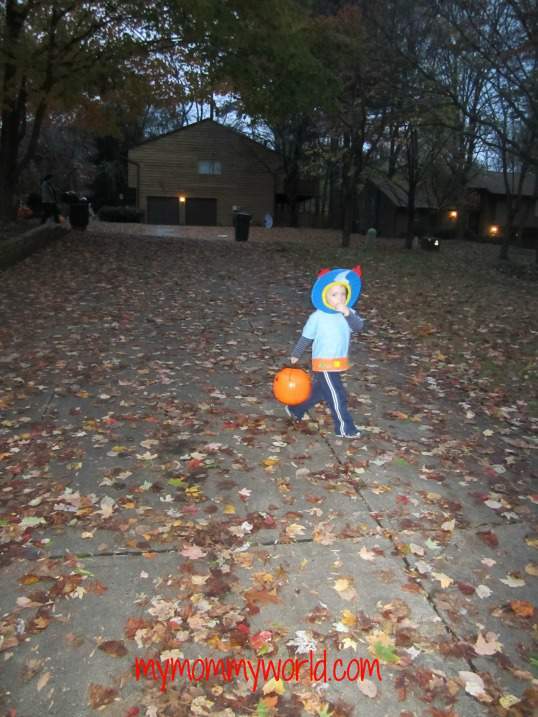 So naturally, when he asked if he could be Geo from the show for Halloween, I couldn’t refuse him. 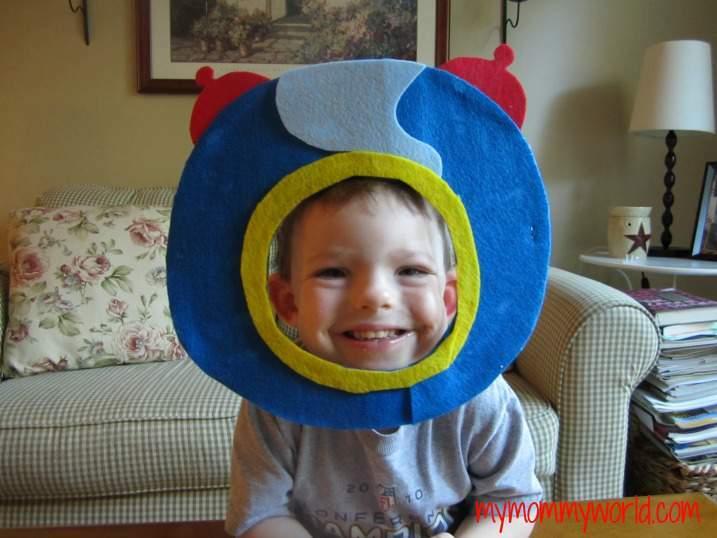 Unfortunately, since the show was so new, there wasn’t a Geo costume to be found anywhere in the stores, so I decided to try to make my own Team Umizoomi Halloween costume. Now, I’m not a sewer…in fact, I can’t even remember how to thread my sewing machine, so I needed to come up with a method to make a costume that I could handle with my glue gun or some staples. 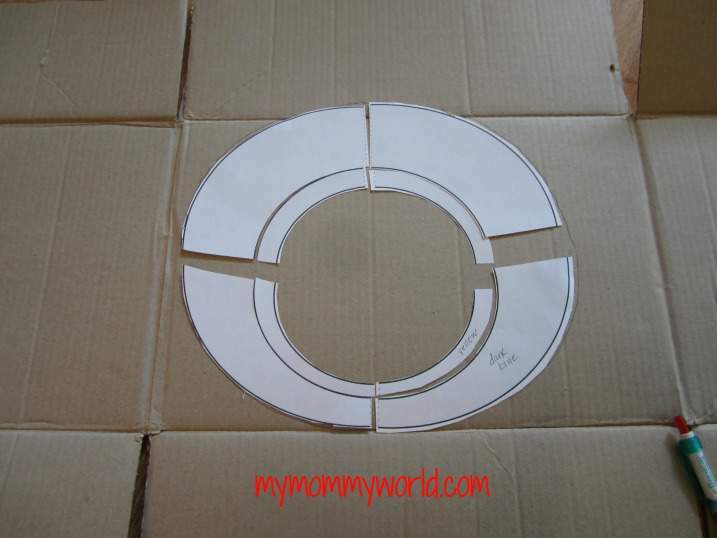 Luckily, the people over at Nick Jr. were already a step ahead of me and came up with this easy costume pattern and tutorial. (The pattern is no longer available.) It made the whole process so easy! 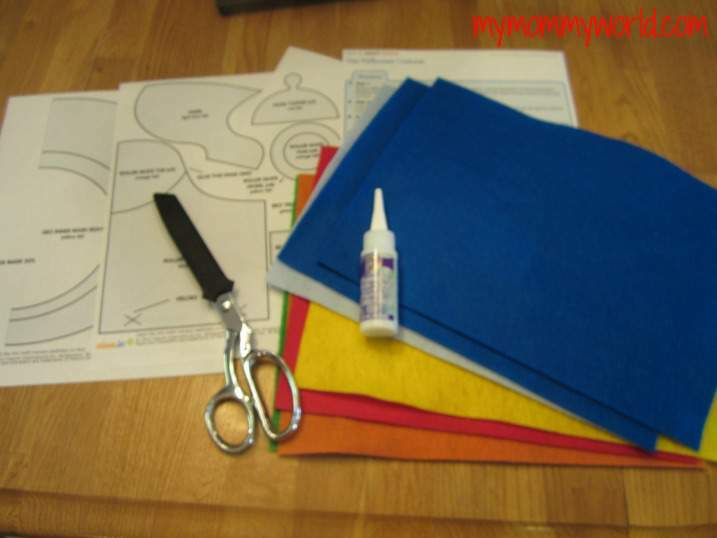 Starting out, I gathered the needed materials together, including the Nick Jr. pattern, assorted colors of felt, some fabric glue, fabric pins, and some sharp scissors. I first cut out all the shapes from the pattern, then pinned them to the corresponding color of felt. 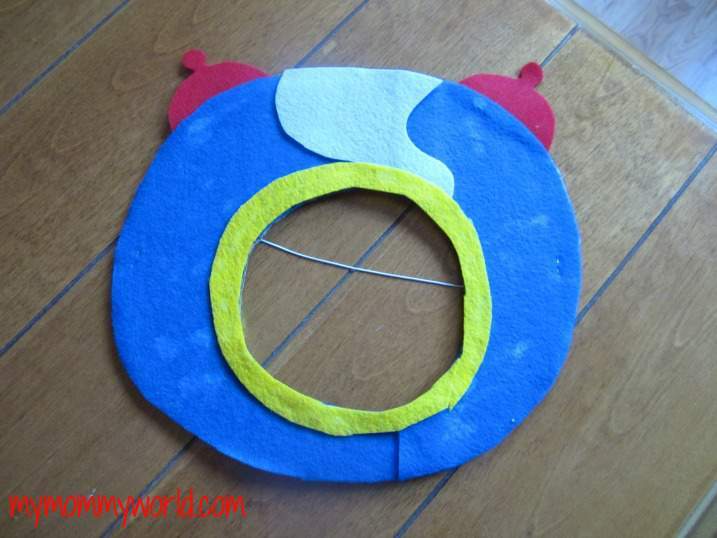 I then cut out the pieces of felt and glued or pinned them together according to the tutorial. The Geo mask took a little more work. Because my little guy’s face was bigger than the pattern, I needed to enlarge it a bit to fit. 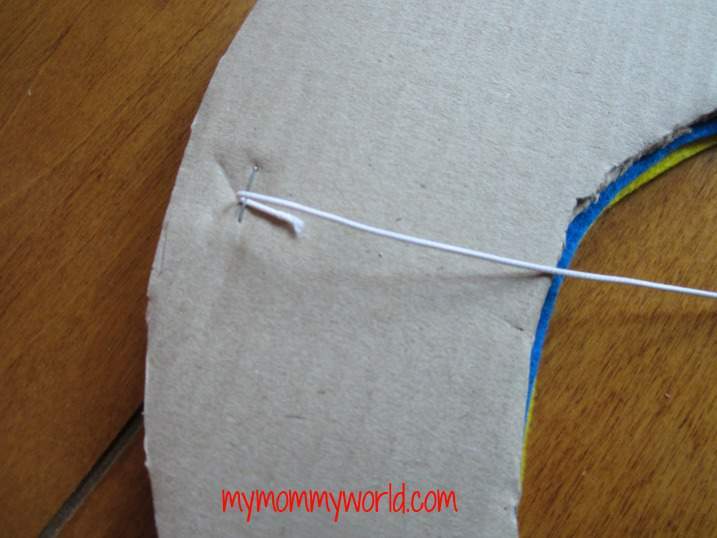 I used a piece of elastic string from another of my kids’ dress-up masks to attach to the Geo mask. I used a simple staple on either side of the mask and it worked out well. For the remainder of the costume, I selected pieces of clothing from my son’s closet to coordinate with Geo’s clothing…luckily he has a lot of blue in his wardrobe. We also slipped the “skates” over top of his regular sneakers and they stayed put the whole evening. 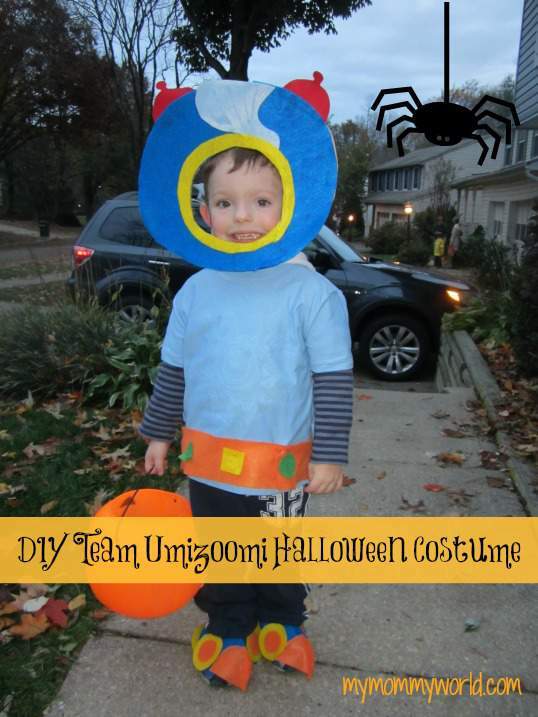 This Team Umizoomi Halloween costume took me only about an hour to complete and it made my son so happy! Best of all, it only cost a few dollars to make, since I only had to buy the felt and glue…we found the rest of the items around the house. so cute! We love Team Umizoomi over here! !